Garam Masala is a common Indian spice blend. A unique mixture of such familiar spices as cinnamon, cloves, nutmeg, and black pepper. This mix is commonly used as a finishing spice for a variety of dishes. Below are some examples of recipes using this blend. In a bowl combine the hummus, shredded carrot, and 1 teaspoon Garam.Masala Blend; set aside. In a large nonstick skillet heat the Grapeseed Oil. Add the vegetables. Season with remaining 2 teaspoons of Garam.Masala and salt and pepper if desired. Saute vegetables until tender. 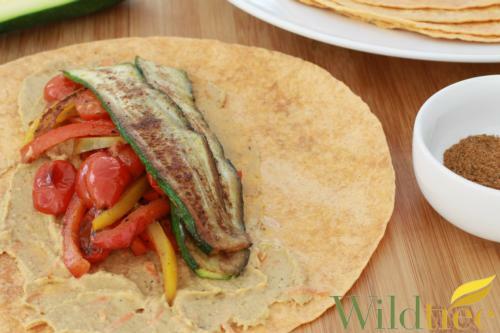 Spread hummus on tortillas and top with vegetables. 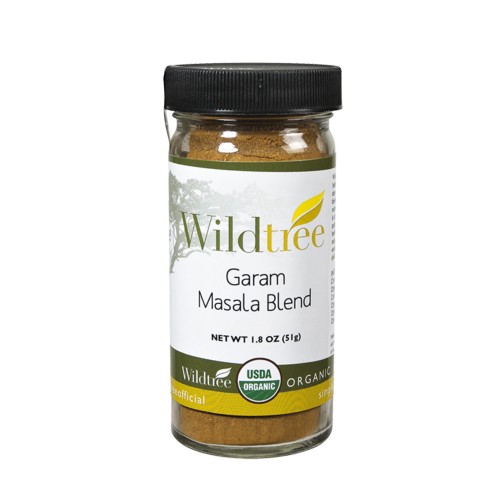 Wildtree has added an organic Garam Masala blend into its product line and now can be shipped straight to your door. Don’t hesitate if it’s unfamiliar, we have more recipes that really highlight the versatility of this unusual but delicious blend! You can buy this delicious blend at www.TheDinnerPlanMan.com, item #10840. Method of Preparation Soak a cedar plank in water for 2-3 hours. Preheat grill to medium high. Place the plank on the grill until one side is lightly charred. Transfer plank to a baking sheet, char side up. Brush the top of the plank with Grapeseed Oil. Place the salmon on the plank. Brush with the ½ tablespoon Grapeseed Oil. In a bowl combine the brown sugar, Garam Masala, and salt. Rub the mixture all over the salmon. 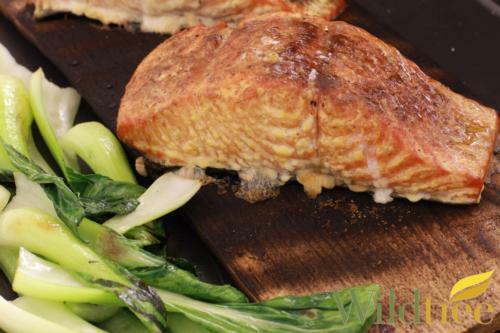 Return plank with salmon to the grill. Cover and cook 12-15 minutes for medium well. Soak rice for 20 minutes. While the rice is soaking, heat Grapeseed Oil over medium heat. Add the onion and sauté until starting to brown slightly. Add the Garam Masala and stir to combine. Drain the rice and add to the pan. Sauté for 2-3 minutes. Add the boilling water. Increase heat to medium high and bring to a boil. Reduce heat to low, cover and simmer 30-40 minutes or until rice is cooked through. Remove from heat, leaving lid on, and let steam for 15 minutes. Meanwhile heat a nonstick skillet over medium heat. Add the Coconut Mix-in, shredded coconut, and sesame seeds. Toast until lightly golden; transfer to a bowl. 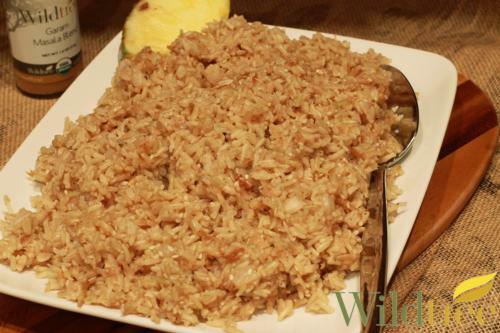 Fluff the rice with a fork. Add the toasted sesame seeds and coconut and fold to combine. Can be served with diced pineapple if desired. Heat Grapeseed Oil in a stock pot over medium heat. Add the onion and sauté until tender, about 3-4 minutes. Add the Garlic Galore, ginger, Garam.Masala, and lentils. Toss together. Add the diced tomato and Vegetable Bouillon. Bring mixture to a boil. 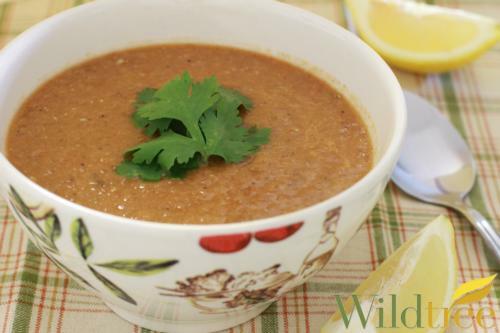 Reduce heat, cover and simmer for about 30 minutes or until lentils are tender. Puree mixture in a blender until smooth. Return to pot and stir in coconut milk. Enjoy as a stew or serve over rice.